I will be running a screen printing masterclass on the 20/21st May 2017 at Edinburgh Printmakers. It will be two days of mark making and experimentation so if you have done screen printing before and would be interested in pushing the boundaries a little more then this is your opportunity. Maximum of 8 only. Book here .. 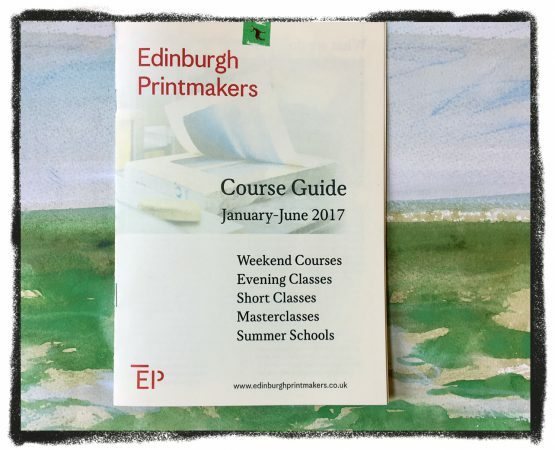 The new course guide is out now, you can pick up a copy at Edinburgh printmakers gallery on 23 Union Street or to see all the new exciting classes from wood engraving, monotype and photos to collagraph and cyanotype, visit www.edinburghprintmakers.co.uk.